In a selection of holiday villages, our partner RendezvousCheznous.com offers visitors the fantastic opportunity of meeting local hosts who love their home region. Our holiday villages are purpose-built structures with amusing activities for everyone. 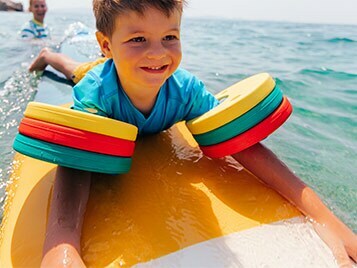 Children and parents alike will find their ideal occupation whether it be water fun, indoor/outdoor sports, cultural discovery, arts and crafts and more to keep the whole family busy. This type of vacation is ideal for family holidays in France, or when travelling with a group, and we have rentals in France, Spain and the Antilles. All accommodations are located close to the beach so you can spend your day lying on the golden sand and enjoy the benefits of your holiday village in the evenings. 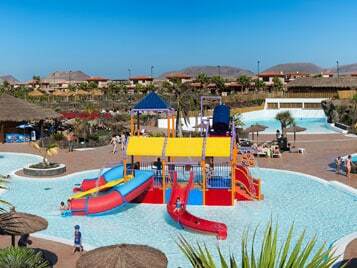 You can also sit back and relax by the swimming pool while you watch the kids enjoy the Club and the water parks! Another great thing about holiday villages is that you do not have to worry about anything! Our all-inclusive format allows you to sit back and relax: no more supermarket shopping or cooking meals – you just enjoy spending quality time with your friends and family. Summer holidays have never been so easy. We will take care of your 3 meals a day and the beverages are on us too! With so little time and so much to do in our fun-filled holiday villages like Pont-Royal, your Easter beach holidays will be unforgettable. Our Club Package will help you make the most out of your vacation with a wide selection of activities, plus 2 guided tours of the village and a welcome drink. Kids from 3 to 17 will enjoy unlimited access to our Children’s Clubs (and what could be better than coming to a place where your kids will enjoy themselves and make new friends?) and the over 18s will love our selection of activities (2 cultural or sporting activities of their choice). Discover our holiday village packs.